Thought Leader: Valley Veteran Bill Coleman On Failure And The Guild Of Entrepreneurs . . . Here is the second part of my conversation with Bill Coleman, one of Silicon Valley's top entrepreneurs with an incredible track record of success. He left the US Air Force, where he was chief of satellite operations, and joined the seminal VisiCorp, spent nine years at Sun Microsystems, he co-founded BEA Systems, recently sold to Oracle for $8.5bn. 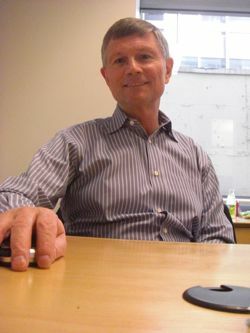 He currently heads Cassatt Corporation a fast growing IT software firm with a unique technology for cloud computing. Part one is here: Thought Leader: A Conversation With Valley Veteran Bill Coleman About The Economy And The Business Of Disruption . . .
Mr Coleman is optimistic about Silicon Valley's long term prospects but he is pessimistic about the current situation. "These days there is just one exit strategy and that is to be bought by strategic acquirers. It's a huge buyers market and that's not good for valuations. And its tough for new companies because every VC firm has to keep their powder dry and make sure that there is enough capital for their companies to survive . . . and no one is dong great right now. That's why cash is king, if you don't have enough cash to survive you either go out of business, or get acquired." While these are tough times for startups, the giants of Silicon Valley will profit from this downturn. Can Silicon Valley save the economy? "The only disruptive things I see are the three areas we talked about: information technology, biotech, and nano. Silicon Valley is very lucky that the technology we started with is springing all these other technologies; we also have great universities; and we are in at least our third generation of entrepreneurs." Mr Coleman says that having experienced entrepreneurs is very important to Silicon Valley's continued success. His experience of over 30 years in building complex software systems has shown that "you cannot build it unless your team has been together at least five years and you've done it twice before. It's not something you can just jump into because you did four computer courses at Stanford. It's all about learning on top of learning because there has been generations of experience." There is a class of very experienced entrepreneurs in Silicon Valley that he describes as being part of a "guild" and this is something that other centers of innovation around the world lack. He tells a story of going to Shanghai with fellow members of the exclusive New Venture Club (members include Larry Sonsini, Carol Bartz, John Thompson, John Young, Regis McKenna, Ken Oshman and about 30 other very successful Silicon Valley luminaries...). The club was there as a guest of fellow member Danny Lui, the founder of Chinese computer giant Lenovo. "We met with about a hundred Chinese VCs and entrepreneurs, all very excited about their ventures and what they were doing." He said that he spoke with one person that said that they didn't have any "architects" with the experience to develop state-of-the-art software, or state-of-the-art chips. "They felt they were still a generation or so away from doing the type of innovation that Silicon Valley is doing. And that makes sense, it's a guild." Silicon Valley is also very good at reinventing itself, and getting rid of the low value work by moving up the value chain. "Silicon Valley is the greatest engine of creative destruction in the world. If we were Detroit, we'd still be populated with chip fabs and people in those horrible suits earning $20 an hour. Instead, we have software engineers making $150,000 per year plus full benefits. Silicon Valley has been successful at reinventing itself time and again. The only other place close to us is Israel. India and China will get there but they aren't there yet." "Yes," Mr Coleman said. "I've had failures, Visicorp was a failure and so was Dest Systems. At BEA Systems, when I was putting together my senior staff I wanted people that were in at least one company that had failed. You learn not just about failure and how to make things work, you learn the psychology of failure and how you react to it. If it's the first time you are learning it you probably aren't keeping the momentum going in your company. You are exactly right." "When I got out of the air force, and went to VisiCorp and we failed. And then at Dest Systems, great technology but we couldn't get any money. I was looking at all these people, at the time there were lots of PC companies , and I started to notice that guys that failed started showing up at other companies in more senior positions. Aha, I realized, it doesn't matter if you have some failures what matters is that you dust yourself off and learn from that failure. I used to say Sun did everything wrong that was possible, but it never did anything wrong for too long. A startup is not a technology company it is a learning machine." Please see part one of this interview: - Thought Leader: A Conversation With Valley Veteran Bill Coleman About The Economy And The Business Of Disruption . . .
Next week I interview Patrick McGovern, head of global publishing powerhouse IDG and one of the smartest media company executives on the planet. He began his career in the United States Air Force as the Chief of Satellite Operations in the Office of the Secretary of the Air Force. Mr. Coleman has been a Director of Symantec Corp. since January 14, 2003 and is a Member of the Trilateral Commission and serves as a Member of the Audit Committee. He is also a Member of the Information Technology Advisory Board at Warburg Pincus LLC. Mr. Coleman sits on the Board of Directors of the Silicon Valley Manufacturing Group and the American Electronics Association. He served as a Director of Skillsoft Public Limited Co. since its merger with SkillSoft Corporation in September 2002 till January 31, 2004. Mr. Coleman served as a Director of SkillSoft Corporation from August 1999 to September 2002. In 2001, he was named "Entrepreneur Of The Year" by both Ernst & Young and the Robert H. and Beverly A. Deming Center for Entrepreneurship at Colorado University-Boulder and, by BusinessWeek, as one of 2001's "E-biz 25 Top Executives." Mr. Coleman has a B.A. in Computer Science from the United States Air Force Academy and a M.A. in Computer Science and Computer Engineering from Stanford University.